HOWEVER, THE REPAIR PROCESS DOESN’T HAVE TO BE! Tacoma’s Premier Independent Collision Repair Facility! Your insurance company hires master negotiators to manipulate repairs and adjust claims to their benefit, so why shouldn’t you? 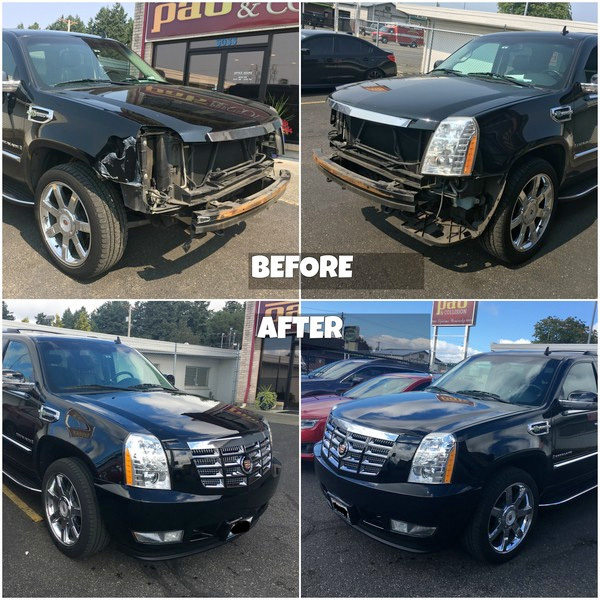 Choose Precision Auto Body-Tacoma’s premier independent collision repair facility, where we take pride in perfection and are willing to fight for you to get the quality repair that you deserve. Thirty days after I bought my dream car, somebody crashed into it in Tacoma, 150 miles from home. It was… really distressing. The team at PAB was so kind and reassuring on the phone that it was a terrific relief. The damage was extensive and repair took a long time, but they delivered my car before it was promised, and they kept me updated every step along the way. Best of all, my dream car is back to good-as-new condition. Thank you PAB! Walk through the door and let all your anxiety and worries stay outside. Perfection, quality, and follow through are just a few of the things you will experience with Phil and Christina. None of us want a wrecked vehicle, however let’s face it we expect it to look better than we brought it in. You will get NOTHING less than that at Precision Auto Body. I won’t go anywhere else and neither should you!!!! I took my new Mustang to PAB after reading all the good reviews and was not dissapointed. Very friendly, answered all my questions, even the dumb ones. Made appointment and was told four days and got my Stang back in two. Mustang looks brand new again. Will absolutely take car back if ever need to. Very very happy with workmanship and personnel.